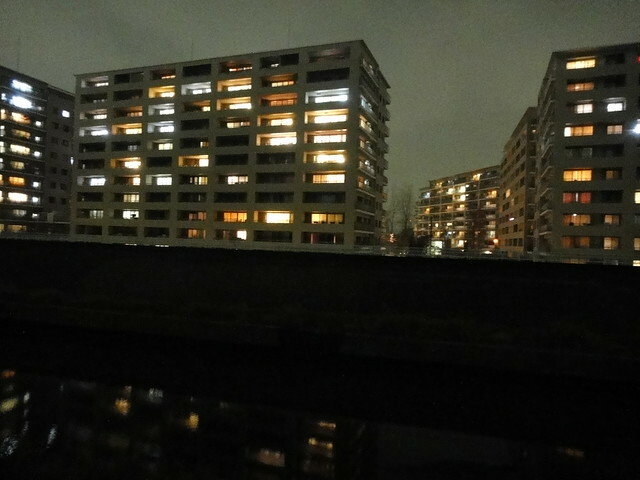 Not a special scene to a lot of people.Â It’s a residential complex in Yokohama Japan.Â It becomes significant if you live there, or if you have some vested interest in some parts of this scene.Â You might live here.Â You might have built the building. I thought of how the light colors have changed over the past 20 years in Japan.Â 20 years ago, the colors of the lights emitted from this kind of residential complex buildings was cool, bluish white, because Japanese likes brightness of florescent light.Â Florescent light also lasts longer and uses up less electricity then incandescent light. Knowing history of things may not always be necessary, but it helps you to make better marketing decision.Â Sometimes,Â knowing history become critical information to time the market introduction of the products to different parts of the world.